Explanation: After a remarkable performance in the northern hemisphere, the brightest comet in decades is now showing off in the south. 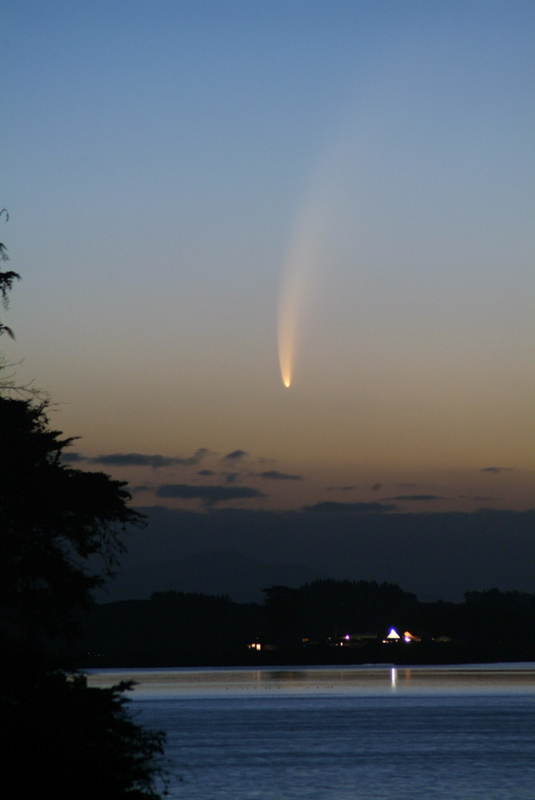 Recorded during evening twilight on January 17, this view features the bright coma and gorgeous, sweeping tail of Comet McNaught (c/2006 P1) over Lake Horowhenua in Levin, a small town on New Zealand's North Island. Astronomer Noel Munford reports that the five second long digital camera exposure comes close to capturing the visual appearance of the comet in a sky coloured by smoke from distant brush fires in Australia. Discovered last summer by R. H. McNaught (Siding Spring Survey), the comet grew impressively bright in early January and has even been sighted in full daylight. 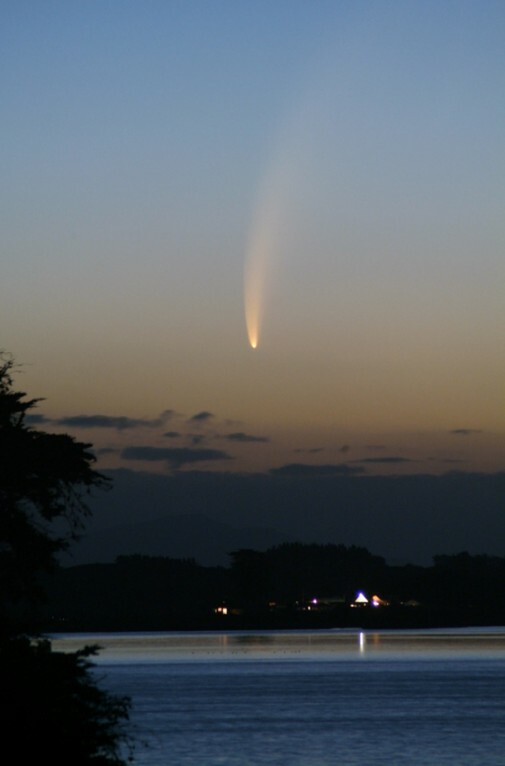 In the coming days Comet McNaught will continue to move south, for now a spectacle in southern skies as it heads for the outer solar system.